The first time I traveled to Italy I fell in love with the country and the people. I started this blog in 2011 when I was preparing to go to Italy for the third time. It seemed like I could never get enough of this beautiful place. After that trip I thought I wouldn’t feel the need to return, but in less than a year I made my 4th trip to this beautiful country of my grandparents. And the following year, I went back again, making my fifth trip to Bella Italia. In June of 2015 I returned from my 7th trip to Italy, and then in September of 2016 I went to Italy to write, and took a 10-day road trip in Sicily in October. I know I will always go back as long as I can because I feel at home there! I am a second-generation Italian-American with a passion for travel, and a particular love of Italy. I am a freelance writer and photographer, and write for La Gazzetta Italiana, a monthly Italian-American newspaper, Italia Magazine, and several other online travel sites, including Italian Talks and The Grand Wine Tour. My first book, Memoirs of a Solo Traveler – My Love Affair with Italy, is based on this blog and my three-month solo travel adventure to Italy. It was honored with an award by the Florida Writers Association. In My Love Affair with Sicily, my second book, you will feel as though you are traveling with me during five separate trips to Sicily. Colors of Naples and the Amalfi Coast, published in April of 2015, is a coffee table/photo book which features the peoples, streets, traditions, places, and culture of one of my favorite places in Italy. Please follow me on Twitter @MargieMiklas , Facebook, Instagram, and Pinterest. I just finished updating reading your blog. What wonderful Easer experiences you have been having, too! I’m looking to hear if you went back to Rome or watched the events on the big screen. I cannot get over all the exercise during the course of a day; and getting drenched in a downpour; and spedning 9 of 13 hours waiting or on trains or buses in a day; or having to hoist luggage to back track from 3 to 68 for the address at the convent! You are one hearty woman, kiddo!! Loved the stories of you giving the woman her photo from 4 years ago, being kissed by those 70 or over, and your experiences with biscotti and wine!!! Making the most of life! what a ball it is reading these!! Thanks for the kind words. It was equally a pleasure meeting you on Capri, sharing a glass of wine and swapping stories. Your story will always be one of our ‘gems’. Your blog is truly a funderful way of memorializing your adventures, and it is interesting to follow along with you. Safe travels, and if you are ever in our neck of the woods, please get in touch with us. Cheers from Vancouver (and often Mexico) Brian and David! Welcome home. As great as it is to travel it’s always nice to come home! Thanks for the photos and commentary. It extended my trip and I enjoyed reading about your travels! Wow, Life really does begin after 50 doesn’t it? I love the way your photographs capture the everyday lives of the Italian people going about everyday task. I second the vote for Very Inspiring Blooger Award to you. Thank you for visiting my blog. I love Italy ! Margie, wonderful blog and stunning pictures! I am looking forward to reading through the posts I haven’t viewed yet. Thank you so much Judy. I am also glad that i have found your site! Would you be interested in trading guest blog post on our blog, http://onetravelbloggers.com/? We are a PR 3 blog whose audience enjoys reading anything about travel. And, of course, you’ll receive a FOLLOWED link to your blog or page of your choice. Thank you. It sounds interesting. I will check out your site. Just got your book – I love how you describe your feelings and the scenes. I’ve only started, but having been often in Venice I could definitely imagine the scenes! I was a bit curious why you didn’t just fly into Venice rather than via Milano. Anyway, I’ll keep reading — I’m glad I discovered your blog and book! Thank you Scott and you are right about flying to Venice. It would have been so much easier but I didn ‘t realize it when I was planning the trip. Live and learn to be sure! an extended length of time in Italy. In the process of getting my Italian citizenship. I NEED to go and just live. [My little] Margie — I hope you don’t mind, but I just nominated you for an “Illuminating Blogger Award.” Just follow this link for the acceptance guidelines: http://foodstoriesblog.com/illuminating-blogger-award/comment-page-48/#comment-7679. I have nominated your blog to receive the Blog of the Year 2012 award. Please check it out. hi, I am a painter looking to spend 6+ months in Italy to work and live as cheaply as possible. I have found house and apartments , but I am wondering where I can find a great studio to paint in. where 2 ify grandparents are from. I would prefer to be in Sicily this time around as I have some relatives I can look up. any suggestions about finding a studio there? I basically need a space with good light, a sink and a toilet, with lots of wall space. Hi Margie….I just finished reading your book and I loved it! I felt I was right there with you. I’ve now made it my goal to put money back from every paycheck so that one day I will be able to take an extended trip to Italy. Thank you for sharing your experience. Thank you, Mia.I am so impressed that you are saving each pay period to go to Italy. That is exactly what I did! Mia, Thanks so much for this compliment and I hope you can visit Italy soon. I know you will love it! I have “Sydney a sensational Australian city to visit” (Australia) travel related content- which I want to publish on your site. The content is grammatically checked, unique and informative with rich and engaging language. I‘ll also provide you copyright image with content. If you are looking for any destination in particular (Please specify destination) you can suggest me and I will provide the same to you. Thank you. I see you have an informative travel blog. Good luck with it. For now I am not hosting any guest bloggers. Enjoyed reading your story & photos of going to the opera & cathedral in Sicily. What an experience!! You are accumulating many wonderful memories for sure. I love your Blog Margie and I am so happy to have found you!! My love for Italy goes stronger with each passing day. I hope to save up for another trip 🙂 Cheers! Are there any wine vineyards which we should visit and what else can you suggest we do in the area??? Many vineyards exist in the Chianti area between Firenze and Siena.You can read about my excursion two family-operated ones in Castellina in Chianti. Grazie! I must visit Abruzzo sometime! We must be close, looks like you reside in a Florida. My wife and I moved from CT to Vero Brach in August of last year No more snow. We just returned from our 11th trip to Italy. We were caught off guard with a colder than normal spring, but it was bella Italia. We were in Sicily for the entire time, and Mt Etna had a fresh coating of snow. Love your blog and your books. Hello Margie! I really enjoyed your blogs! I wish to join you on your adventures. Hope to read more of your travels. Thanks so much Tamason…I am glad that you have experienced the beauty of Italy. Thank you for taking time to visit my blog! Hey there Margie! Just tuned in this afternoon and gave you a follow. If you want to see what I’m up to in my fun world or just return the favor, visit me at http://www.thatssojacob.wordpress.com. Thanks and have a happy day! Grazie…I will check out your blog! 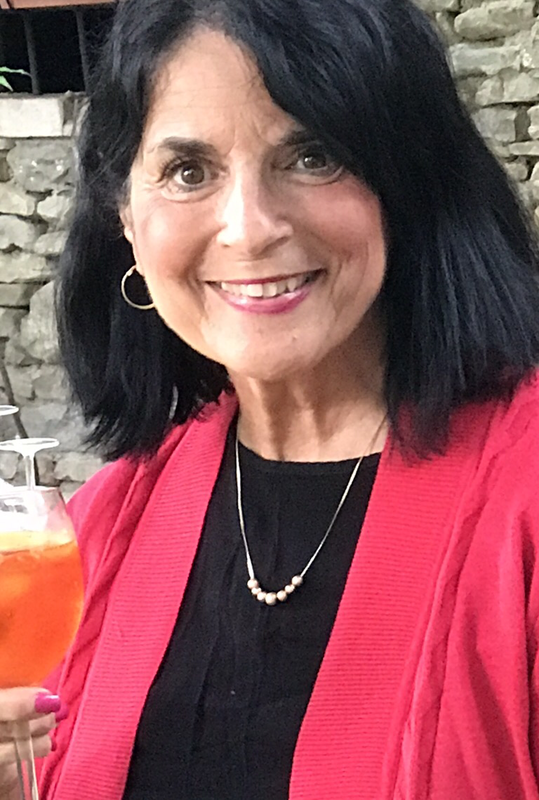 Hi Margie…..love your blog…I am also of Italian decent (my father is from Italy)…..I was born and raised in Texas,but have been living in Italy for 8 years…anyway….always love to connect with fellow Italian Americans……look forward to reading more…. Thank you Diana – I appreciate your reading my blog. We both have a love of Italy! Nice blog Margie! Looking forward to following you and I need to check out your books. I love traveling to Italy!!! Thanks Margie. Delighted to have found your blog. Like you I love Italy and it’s culture. Looking forward to further exploration with you here. Regards from Thom at the immortal jukebox. Your blog is so inspiring!!! Loved every part of it. I came accross it as I was learning about Italy for a service I’m starting there. I have a few questions for you, would you mind emailing me please (details in form)? Grazie Vicky…I am sorry that I am only now seeing this…but we have already made contact! I would love to introduce my book about our life in Italy to your readers. It is written in a humorous style and provides insight into the ways of this wondrous land and an inside look at the people (I have relatives!) If one enjoys humor and travel books they may find my book amusing. Or I would love to contribute one of the chapters from my book (I can send you several depending on what you are looking for) or participate in an interview. Thank you Ivanka! Your book sounds fascinating. I am sure my readers will be very interested. Thank you for sharing. Hi Margie! Thank you so so much for your comment on my blog and for following me! I am so glad I found you on twitter, as it is great to find other people who are so passionate about Italy and everything Italian! Lovely blog and I look forward to exploring it some more! 🙂 Have a lovely day! Thank you so much Anna…And now I have discovered your lovely blog from Milano!! I look forward to reading more of your posts! Hello Mrs. Carey, I was a student of your at Old Town High School, Old Town, Maine. So good to read this wonderful article about you. You made English an interesting subject, so glad to have met you. Thanks so much for commenting Bonnie..I have passed on your comments to Pam..I am sure she will be thrilled to hear from you. To introduce myself, I am a student studying in Les Roches in Switzerland, writing my dissertation on ‘Exploring Culinary Tourism through the lens of Food Bloggers’. I am writing to you in order to request for your assistance to answer a few of my questions for data collection for my dissertation. Your identity will remain confidential by all means. If you would like to (pleasee!) assist me, kindly reply back to this email and I will contact you soon with my questions. I have left my contact details below! I’d like to help but I am not a food blogger. Thank you so much Trina for buying my book and for the kind words. I am thrilled that you are going to Sicily. I know you will love it. Florence and Positano too! How wonderful…I will email you with specifics about Sicily. I am from Amalfi coast and I love Naples, so I enjoy very much when I read what an american thinks about country. Thank you so much! I appreciate all your kind words…I am planning to return to the Amalfi Coast soon!! Great blog and wonderful photos. Thank you so much. I’m glad you enjoy it!! I’ve been been following you for a while now and I just wanted to say how much I’m enjoying it! It’s really inspiring and I’m so happy I found it. I’m from a town in the Eastern Central coast of Italy and share the same passion for Italy and particularly for my ‘home’ region: Le Marche. I know what it means “falling in love” with a place and I think it’s great to share this feeling with other people! Thank you so very much for the compliment. I love your passion for Le Marche and hope to visit one day. It’s one of the few regions in Italy that I have not seen. So glad to connect with another Italophile !! I happen to find your My Love Affair with Sicily book and thoroughly enjoyed it. It is so marked up because I used it on my first trip to Sicily last year. I seem to have a lot in common with you…my grandparents are also from Italy (specifically Sicily) and I kept feeling that pull to visit Sicily. It was wonderful and so much that I am heading back again this fall. The other thing we have in common is that I am also a Navy Nurse and still on active duty! I was lucky enough to be stationed in Naples years ago and while I picked put the language I lost a lot so am now taking classes to work on it. I would love to hear from you and like the writer above if there are any “must sees” in Sicily would love to know about them. By the way we did seek out the fantastic pistachio gelato in Riposto last year. It was delizioso! We want to enjoy the cities and not be tired and constantly packing and un-packing. Just by looking at the map i can see that everything i’ve mentioned is not that close to each other. I would love some advice and help if you can help. My name is Mariana and I am one of the Sales Representatives in Apartments Florence. I am contacting you regarding a possible mutually beneficial collaboration with our company. Currently we are looking for bloggers who would be interested to collaborate with us as potential agents and earning commission on every single booking. Apartments Florence offers all kinds of fully furnished rental solutions in Florence. Today we manage more than 400 exceptionally well-located properties in the heart of our beloved Florence and very close to the main attractions, such as the Duomo, Ponte Vecchio, Santa Croce, San Lorenzo, Santo Spirito, Santa Maria Novella: places where every breath you take is rich in history and art. In our portfolio you will also find different solutions, located in less known areas of the city, such as the marvelous panoramic hills of Fiesole and Settignano, for a poetic and tranquil retreat. We take pride in not being just an online portal. We take care of you 24 hours / 7 days a week. every step of the way: from choosing the right apartment to providing you with information, assistance and customized services for your client to enjoy a unique Florentine experience. Please let us know if you would be interested to know more and I will be more than happy to be in touch with you.